CASPIAN AGRO - Let the citrus orchards blossom! - I specialize in citrus cultivation in the Astara region of Azerbaijan. Recently, thanks to the attention of the head of state, our people are getting increasingly interested in field works, in particular in farming. We are trying to adapt different varieties of citrus fruits that we export from abroad to our local conditions. These cultures require care and special veterinary preparations which I thoroughly study at this exhibition and have already become interested in several stands. I also note that beekeeping is developing rapidly in Astara. Me and my colleague, the chairman of the local association for beekeeping, were particularly interested in the exposition which has a lot to offer to beekeepers. We thank the organisers for such a wonderful exhibition, where we learn a lot of new things in the field of our professional activity, get acquainted with modern preparations and developments, which, I am sure, will find application in our practice in the future. 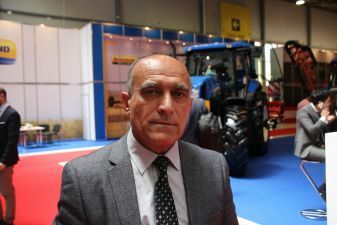 I would like to see such exhibitions take place in our regions where the need for veterinary preparations is high; some people are still visit neighbouring Iran for these veterinary preparations. It would be expedient if specialized centres for the supply of quality veterinary preparations are established in our regions.